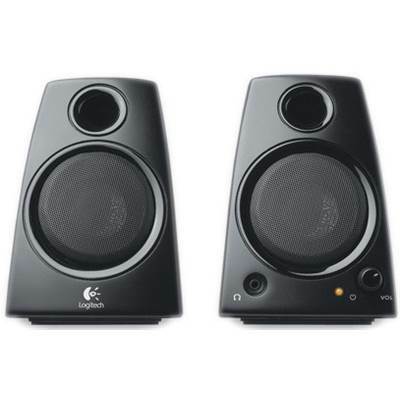 Logitech Z130 5W Speakers, Total Power: 5W, Satellite RMS Power /ea: 2.5W. 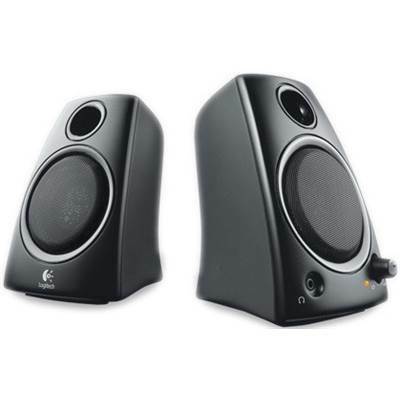 Fill any bedroom, living room or dorm room with quality sound using the Logitech Z130 2.0 speaker system. This compact setup is an economical way to add more punch to your video games or MP3s, without needing a lot of real estate for installation. The two wired satellites feature a slightly-curved, classical design that will look great with any computer or personal entertainment center. For your convenience, the Logitech Z130 features a large volume control knob for simple volume and power controls and a headphone jack for personal listening. Add rich, full sound to your audio lifestyle with this elegant 2.0 speaker system! 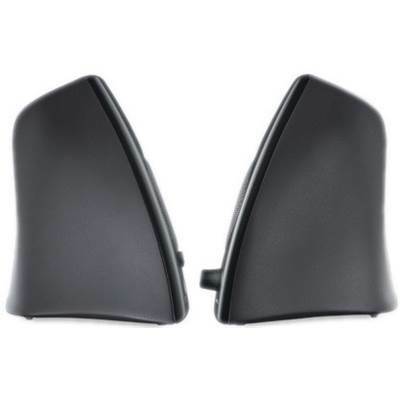 System The Logitech Z130 handles a total of 5 Watts RMS power to deliver clear and strong stereo sound for an immersive listening experience. Easy to set up and control, these speakers make it easy to enjoy your music, movies and games. Plug in your headphones and listen to your music, movies and games in perfect privacy where and when you want to. 5.58" x 3.94" x 4.33"
Cable length: Right-to-left cable: 1.3 m (4.2 ft.) Audio-in cable: 1.5 m (4.9 ft.) Power adapter cable: 1.8 m (5.9 ft.) With five watts of total power, you get sound that’s clear and strong. It’s a snap to get the sound you want with simple volume and power controls. Plug in your headphones and listen to your music, movies and games where and when you want to. Just connect the speakers to your laptop with a standard 3.5 mm plug and you’re ready to go.